September 29, 2015 — Teledyne Optech is pleased to announce that it will show its latest surveying and mapping solutions to professionals in Africa’s growing GIS industry at the Esri Eastern Africa User Conference taking place from October 7-9 in Addis Ababa, Ethiopia. Applications like infrastructure management and engineering surveys all benefit from the Optech Galaxy, a compact and highly innovative airborne lidar system that collects dense and accurate spatial data over extremely wide areas. Galaxy makes it significantly easier to deliver complete and consistent data in rugged and mountainous terrain, where its PulseTRAK™ and SwathTRAK™ technologies remove blind zones and keep the laser swath and point density regular even when the ground elevation changes rapidly. Surveyors can also customize their Galaxy configuration to precisely match the needs of their application by adding up to 6 of Teledyne Optech’s line of RGB, IR and thermal cameras and choosing between an internal mount or an external pod. 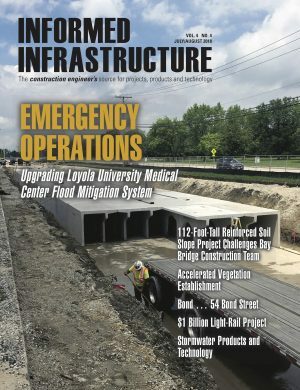 For managing corridor-based infrastructure such as roads, rails and transmission lines, Teledyne Optech recommends the Optech Lynx mobile survey systems, which collect engineering-grade lidar data and simultaneous camera imagery from a ground-based vehicle. Capable of making hundreds of thousands of engineering-grade measurements per second while travelling at high speeds, the Lynx excels at collecting dense data without disrupting traffic. Visitors to the Teledyne Optech booth will hear details about the Lynx SG-S, our latest single-sensor system that uses a best-in-class inertial navigation system to deliver the utmost absolute accuracy at an affordable price point. Teledyne Optech will also have solutions for the mining industry, including the Optech ILRIS terrestrial laser scanner. In addition to its long range surveying capabilities, the ILRIS can automatically detect potential landslides with Gexcel OPMMS software or help rapidly survey open-pit mines from multiple angles with the camera-equipped Optech XR6 UAV. Underground, the boom-mounted, wireless Optech CMS V500 surveys inaccessible or dangerous locations with its laser rangefinder and new integrated camera. Find out more at booth # 2 or at www.teledyneoptech.com. Teledyne Optech is the world leader in high-accuracy lidar 3D survey systems, integrated cameras, and productivity-enhancing workflows. With operations and staff worldwide, Teledyne Optech offers both standalone and fully integrated lidar and camera solutions for airborne mapping, airborne lidar bathymetry, mobile mapping, terrestrial laser scanning, mine cavity monitoring, and industrial process control, as well as space-proven sensors. Teledyne Optech regularly releases efficiency enhancements to the workflow of its integrated systems. Accuracy and productivity matter!